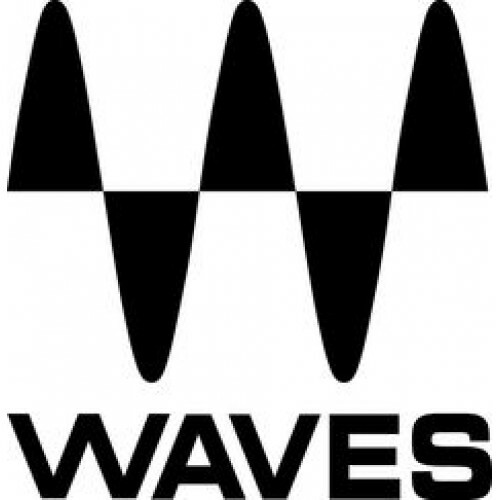 Waves is the world’s leading developer of audio plugins and signal processors for the professional and consumer electronics audio markets. Heard on hit records, major motion pictures, and popular video games worldwide, Waves’ cutting-edge software and hardware processors are used in every aspect of audio production, from tracking to mixing to mastering, broadcast, live sound, and more. Waves offers Native and SoundGrid audio plugins in VST, TDM, RTAS, and AU formats for Pro Tools, Logic, Cubase, Ableton and other popular hosts. Waves: Dugan AutomixerDeveloped in association with renowned pro audio inventor Dan Dugan, the Waves Dugan Automixer is a groundbreaking software version of the popular Dugan Speech System Automatic Mixing Controllers used the world over.Incorporatin.. Waves: Eddie Kramer Bass ChannelEddie Kramer on the Bass Channel: “The idea behind the Eddie Kramer Bass Channel was to create a fat bass sound with a lot of presence, that cuts through without being overbearing. In general, the low-mid frequencies a.. Waves: Eddie Kramer Drum ChannelEddie Kramer on the Drum Channel: “The Drum Channel plugin really captures the essence of my drum sounds. Whether you’re trying to achieve a huge Zep-like sound with loads of atmosphere, or are going for something more.. Waves: Eddie Kramer Effects ChannelEddie Kramer on the Effects Channel: “For the Effects Channel plugin, I set out to recreate some of the basic elements that I use whenever I’m painting a sonic picture. Over the years, these elements have evolved to.. Waves: Eddie Kramer Guitar ChannelEddie Kramer on the Guitar Channel: “The Guitar Channel plugin features settings for lead guitars and two types of rhythm guitars.When it comes to lead guitar, I want it to become a living, breathing organism, creati.. Waves: Eddie Kramer Signature SeriesWhen The Beatles recorded “All You Need Is Love”, the man behind the board was Eddie Kramer.When Jimi Hendrix recorded “Purple Haze”, the man behind the board was Eddie Kramer.When Led Zeppelin recorded “Whole Lott.. Waves: Eddie Kramer Vocal ChannelEddie Kramer on the Vocal Channel: “When mixing, there’s always a fight going on between the vocal and the rest of the track. For me, what makes a good mix is when all the elements combine seamlessly, complimenting on.. Waves: Element 2.0 Virtual Analog SynthElement 2.0 is an analog-style polyphonic instrument designed to deliver the fat, warm sounds of classic analog synths, with all the precision, flexibility and control of a cutting-edge software instrument.The f.. Waves: EMI TG12345 Channel StripWaves and Abbey Road Studios bring to life the legendary TG12345, the first-ever solid-state console from EMI which epitomized the sound evolution of the late '60s and early '70s and helped shape groundbreaking recordi.. Waves: EnigmaTwist, bend, and mangle your sound like never before with effects that go way beyond phasing and flanging. Enigma uses a unique combination of filters, short delay feedback loops, reverb, LFO modulation, and more to create radical, never.. Waves: Essentials BundleThe Essentials bundle includes over 30 SoundGrid-compatible plugins for live sound, including EQ, compression, reverb, delay, vocal tools, bass extension, limiting, level maximization and more.Over 30 plugins for the SoundGrid.. Waves: Forensics PackageWaves in association with international audio forensic expert Phil Manchester present the Phil Manchester/Waves Audio Forensics Package: a collection of nine audio plugins chosen especially for their precision in digital audio.. Waves: Genesis BundleWaves Genesis is a collection of four must-have plugins for live sound. Perfect for venues of all sizes, Genesis is Native, TDM and SoundGrid® compatible, and covers all your essential processing needs. Genesis includes the C4 Mu.. Waves: GEQ Graphic EqualizerWaves GEQ is a full-featured graphic equalizer plugin with both Classic and Modern mono and stereo components, featuring 30 ISO bands plus high and low pass filters, a high precision floating parametric EQ bell filter, and.. Waves: Gold BundleThe industry’s most popular plugin bundle, Gold brings a wealth of mixing and mastering power to your studio, including many of our most sought-after plugins such as the legendary L1 Ultramaximizer, C4 Multiband Compressor, H-Comp, .. Waves: Grand Masters CollectionGrand Masters is a complete set of precision processors that give you the mastering muscle you need for subtle or surgical manipulation of your mixes. Including the complete Masters bundle (L2, LinEQ, LinMB) plus ten ne.. Waves: GTR3 BundleWaves captured the finest vintage and contemporary amps from Fender®, Marshall®, Mesa/Boogie®, Vox®, and more, using revolutionary sampling techniques that go way beyond standard modeling. The result is the most amazing guitar tones.. Waves: H-Comp Hybrid CompressorH-Comp combines the modeled behavior of transformers, tubes, and transistors, together with the power and precision that only a plugin can provide. The result is a compressor with capabilities that engineers could only .. Waves: H-Delay Hybrid DelayFrom real old school PCM42-style effects like filtering, flanging, and phasing, to slap-back echo, ping-pong delay, and tempo-sync with modulation, H-Delay delivers the goods, controlled by a super intuitive interface that .. Waves: H-EQ Hybrid EqualizerH-EQ is a uniquely powerful hybrid equalizer, featuring vintage and modern EQ inspired by the finest British and American consoles; seven different filter types per band, including a newly-developed, one-of-a-kind asymmetr.. Waves: H-Reverb Hybrid ReverbNew technologies open new creative horizons. H-Reverb is a pioneering FIR reverb based on innovative Finite Impulse Response reverberation technology, providing richer, deeper reverb tails that sit beautifully in the mix .. Waves: Horizon BundleAs a music production professional, there are certain things you just can’t live without: A good room. Good mics. Good monitors. Good music. And Waves. You need versatile mixing tools that bring out the best of each and ever.. Waves: InPhaseThe ultimate phase correction plugin for phase shift treatment, phase alignment and complex phase manipulation tasks, InPhase is the tool for all phasing issues.Dual waveform displays update in real time according to processingMove wave.. Waves: InPhase LTInPhase LT is a special edition of InPhase which is available as part of selected bundles or separately as a single plugin. With its simplified controls, intuitive interface, and powerful phase-shift filters, InPhase LT is a one-stop.. Waves: IR-L Convolution ReverbWhen you need to recreate the authentic sound of actual acoustic spaces, there is no alternative to the realism and flexibility of convolution reverb. The IR-L offers the same great sound and performance as our IR1, usin.. Waves: IR-Live Convolution ReverbWaves IR-Live is an impulse response-based convolution reverb designed with the live sound engineer in mind, but sure to find a home in the studio as well. IR-Live delivers quick results with easy access to mission cr.. Waves: IR1 Convolution ReverbWembley Arena. Grand Ole Opry. Sydney Opera House. CBGB’s. Birdland. Want to record in the world’s greatest venues? Now you can. IR1 puts the meticulously captured sound of these and many other renowned spaces in your han.. Waves: IR360 Convolution ReverbMajor motion pictures in 5.1 Surround require spatial emulation that is 100% believable. Only the astonishing accuracy and complete control of convolution reverb will do. That’s why top sound engineers choose Waves IR36.. Waves: J37 TapeWaves and Abbey Road Studios present the J37 tape saturation plugin, a precision model of the very machine used to record many of the greatest masterpieces in modern music. With a variety of user-adjustable controls including Tape Spee.. Waves: Jack Joseph Puig Signature SeriesFrom U2 to Pussycat Dolls, from Mary J. Blige to Black Eyed Peas, from Snow Patrol and Counting Crows to Sheryl Crow and Jellyfish, from Goo Goo Dolls and Panic at the Disco! to Beck and The Rolling Stones, fro.. Waves: JJP Analog LegendsThe Fairchild 670, the Pultec EQP-1A, and the Pultec MEQ-5 are among the most sought-after pieces of gear in audio history.Jack Joseph Puig is among the most sought-after producers and mixing engineers in the music industry.W.. Waves: JJP BassJack Joseph Puig on JJP Bass: “Every track is different. And every bass track is different. Sometimes you want just a great bottom; other times you want something with more mid-range that cuts through a mix. You may want to give it a b.. Waves: JJP Cymbals & PercussionsJack Joseph Puig on JJP Cymbals & Percussion: “There’s really so much you can do with cymbals and percussion. You can use some lo-fi effect to fatten up shakers. You can take out the mid-range on tambourines to.. Waves: JJP DrumsJack Joseph Puig on JJP Drums: “There are certain things you usually just take for granted when you’re mixing drums. Sure, the snare has to snap. Or maybe you want it to have a woodier sound. The bass drum has to have a nice bottom. B.. Waves: JJP GuitarsJack Joseph Puig on JJP Guitars: “I approach the guitar as a sound designer, and try to use the whole sonic palette: Make it brighter, darker, more aggressive, compress it, bring out the attack, whatever—to give it attitude. The JJP.. Waves: JJP Strings & KeysJack Joseph Puig on JJP Strings & Keys: “When I’m dealing with strings and keyboard parts, in general I want them to be radiant and beautiful. I want to shape the tonality to fit what the song needs to be, so when it .. Waves: JJP VocalsJack Joseph Puig on JJP Vocals: “When I mix a vocal, my approach is intuitive and instinctive, not technical. I don’t think in terms of ‘which delay’ or ‘how to EQ it’ or ‘more compression’ or whatever. What concerns me is how it mak.. Waves: Kramer Master TapeDeveloped in association with Eddie Kramer, the Kramer Master Tape plugin is modeled on a rare vintage 1/4" reel-to-reel machine. With adjustable tape speed, bias, flux, wow & flutter, and noise parameters, the Kramer Mas.. Waves: L1 UltramaximizerThe plugin that started it all: Look-ahead peak limiting, level maximization, and high resolution re-quantization in one powerful plugin. Ideal for any audio application from multimedia to mastering, the L1 is world-renowned f.. Waves: L2 UltramaximizerFor mixing, mastering, and more, the L2’s legendary combination of look-ahead brickwall peak limiting, level maximization, and ultra high resolution give you the power and extra gain you need with crystal-clear results every s.. Waves: L3 MultimaximizerWhen top mastering engineers sit down behind the board, they need to enhance frequency response and maximize levels while protecting the fidelity of their sources. That’s where the L3 comes in: The world’s first auto-summing m.. Waves: L3-16 MultimaximizerPresenting the most advanced member of Waves’ acclaimed L-Series: the L3-16 Multimaximizer, a 16-band peak limiter delivering unparalleled loudness with unprecedented control. Powered by Waves patented PLMixer™ Peak Limitin.. Waves: Linear Phase EQConceived and created with mastering in mind, Linear Phase EQ preserves your original musical balance while providing precision control over the harmonic spectrum with absolutely zero phase shift.Equalizer plugin for masteringFi.. Waves: Linear Phase Multiband CompressorUtilizing unique technologies like Adaptive Thresholds, Automatic Makeup Gain, and Finite Response Filters, Linear Phase Multiband features five user-definable bands with linear phase crossovers for phase disto.. Waves: Live BundleWith over 40 plugins for live sound covering everything from EQ, reverb, and modulation to compression, gating, and limiting, Waves Live Bundle gives you all the processing power you need to take it to the stage.Over 40 plugins for .. Waves: LoAirOriginally created for sound design and post-production, and strongly embraced by studio and live mix engineers, the LoAir subharmonic generator plugin features two adjustable low-frequency processors for shaping your ultra-low end. LoAir.. Waves: Manny Marroquin DelayManny Marroquin on the MM Delay: “Delay is all about depth. It’s one of the key elements in almost every mix I do. Plus, it enhances the groove, and creates layers of sound which can make a mix more exciting and multi-dime..